The last few weeks have been productive, and I've had two new customers and moved an old one to a better IDX website that should make a huge difference in his leads and sales. Jack Ragsdale has been a customer of mine for around 6 years since way before the time that there were affordable and user friendly IDX websites. 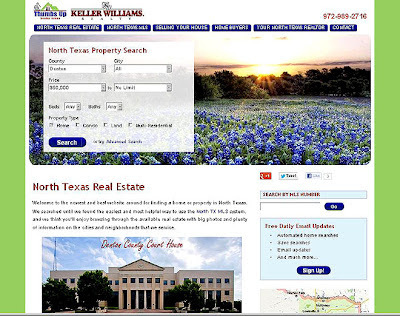 Jack lives in a part of Texas that is made up of many small towns instead of one big one, and we've struggled to find a way for him to have a well ranked website that covered his entire area of Denton, Keller, Flower Mound, and several other towns in Texas. After some research, we decided to make the new website aim at North Texas Real Estate instead of having several small sites for each town. After I finished, he's hired someone to help him with blogs and such, and they've changed a lot of stuff around. So whatever happens, it's no longer on me! 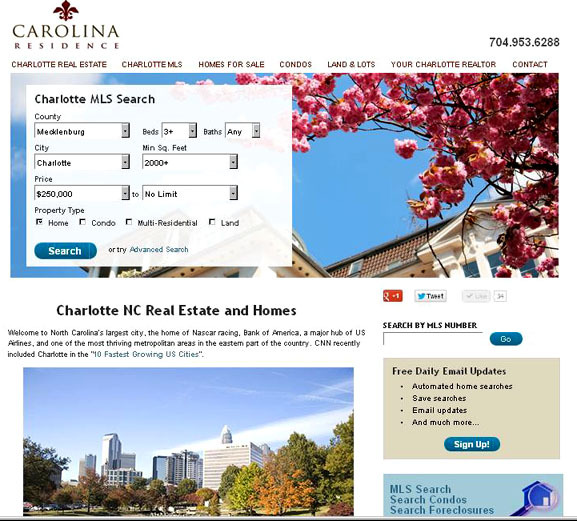 My next site is for a lady Realtor selling South Charlotte homes, by the name of Nana Tennhardt. Her husband Olaf is very much helping with her online presence and they are really working hard to show off her expertise in the Charlotte, Waxhaw, and Weddington areas. As it seems like most all of my customers are the best at their profession, I'm sure these new IDX websites are going to bring them so many sales they will wonder how they ever did without it. And the key is CONTENT. Writing about your city, going out and taking great photos, creating YouTube videos to showcase your neighborhoods - all of this works with the new social media to make the search engines love what you do. The harder you work on your site, the better the reward, and I'm proud of all my clients that "get it" and create such exceptional resources for their customers. Congrats to Jack and to Nana on their new sites!